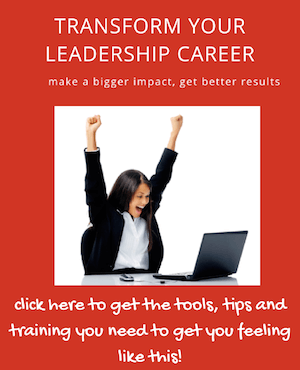 Charismatic Leadership: It Can Be A Blessing and A Curse! Charismatic Leadership ... Is it A Blessing Or A Curse? Adjusting his or her behaviors and speech to suit the situation at hand. Their approach when leading teams is to have their enthusiasm rub off on their team members by being extremely positive and energetic. Teams do, however, need more than just a charming leader to keep them sustainable over the long term. Inspiring. Their generally optimistic and positive nature draws people to them like a moth to a flame. Often these leaders do inspire people to be at their best and the work environments they create can be very motivating to employees and colleagues alike. Group Think. Because these leaders are so popular it can cause Team Members to stifle their own beliefs and values which may be in conflict with those of the leader. The danger in this is that you get 'group think' and/or people going along with the ride even when they sense that maybe the direction they are heading in is shaky. Lack of Independence. Teams being lead by a charismatic leader can struggle to become more self-managing because the group's identity can become caught up in that of the leader and his or her ego. The team can often focus on the leader to help them succeed rather than building the systems and self-fortitude to think and act independently. The leaders ego overtakes. These Leaders can sometimes get too caught up in their own ego and needs and this can have a devastating impact on the team. Think Donald Trump! Company strength is under-acknowledged. The worst case scenario with having a charismatic leader in charge of an organization is when people start to believe the leader, somehow 'is' the company and that the company's success is tied to this person being at the helm. Richard Branson of Virgin and Southwest's Herb Kelleher, are both examples of leaders who are 'hero' worshiped by their team members. The potential downside for these leaders is that people have put such faith in their leadership (and not the company as a whole) that they begin to believe that without him or her the company's infrastructure might break down. As we have seen with Steve Job's passing in 2011 (and his firing from Apple in the mid 80s), organization's can survive the departure of even the most charismatic of leaders. Let's just hope, that Steve's legacy, (this time), is he has left behind an organization that can thrive, not just survive after he's gone. Charismatic leadership is certainly a dynamic and empowering form of leadership, and combined with other styles of leadership, it creates a powerful force that gives people the enthusiasm and self-management to achieve great results. Do you work with a charismatic leader? Or maybe have watched with fascination the antics of a high profile leader. Use the comments box below, and let me know what you have found to be the best or worst of being caught up in the world of these types of men and women.